I suppose not many will be surprised by this choice as “googling” Campi Flegrei immediately yields results such as “Campi Flegrei: The Massive Italian Volcano that Will Kill Us All (Or Not)” (Time, Aug 08, 2012) or “Italian Supervolcano Could End Eurozone Crisis the Easy Way” (Smithsonian, Aug 06, 2012). Indeed, both Carl and myself have written on the subject before as the most worrying aspect of Campi Flegrei is not that it is capable of VEI 7 eruptions, but that it is located less than 10 km from the city centre of Naples. This means that the 1 MDE criterion could easily be met by an eruption only 1/1,000th as powerful as a full-scale caldera eruption, something that makes it the most likely of all our choices for the NDVP program to happen within our lifetimes. 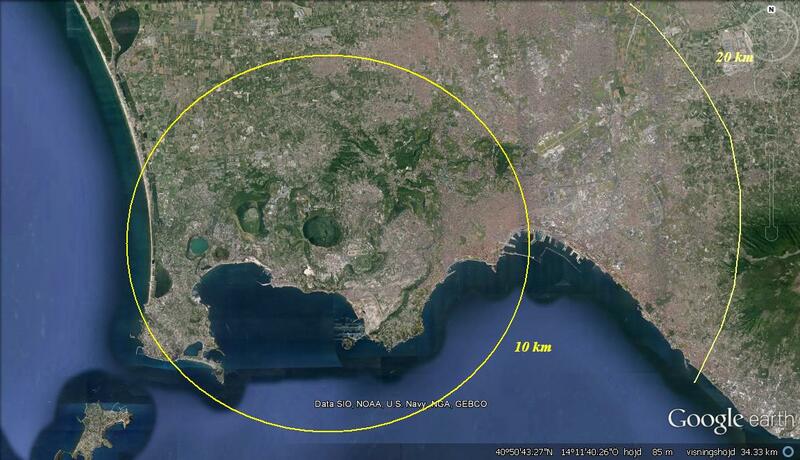 Of the three volcanic systems in the Naples area, Campi Flegrei is the most dangerous, not only because it shows strong signs of ongoing, continuous activity, but because a large portion of the Naples metropolitan area is built within what in effect is its crater. Any eruption here will put a great number of lives at risk. But let’s not get ahead of ourselves just yet! Italy is the southernmost part of the European segment of the Eurasian plate where it slides over the colliding and subducting African plate. Geologically, the crust is somewhat similar from the Po Valley/Basin down to at least the ankle of the Italian “boot”. Very approximately; at the bottom of the plate you find the usual old oceanic crust overlain and somewhat intermixed with old “granitic” crust. On top of that is a sedimentary layer some 10 km thick which in turn lies underneath more recent “surface” layer of bedrock of mixed composition. From Lago di Bolsena, about 100 km NNW of Rome, and all the way down to Naples lies a series of Quarternary calderas. Although the major eruptive period of the area took place between approximately 0.5 and 0.3 MA, very large, caldera forming and ignimbrite eruptions have continued into what geologically is the present day and of the five volcanic centres to the north of the Naples area, only Monte Roccamonfina may be considered truly extinct. Most worrying perhaps is the low-level activity at Colli Albani which includes the emission of carbon dioxide in doses lethal to grazing animals, proof that magma is still degassing not far below the surface. The 39 kA Campanian Ignimbrite (CI) caldera-forming super-eruption is the largest volcanic eruption in Europe in the last 200,000 years. A recent study (Costa & al: 2012) measured 115 sites for the ash layer at distances up to 2500 km from the volcano. Subsequent 3D ash-dispersal computer model analysis yielded figures of. 250 to 300 cubic kilometres of ash spread across 3.7 million square km. This is twice to triple the previous estimate. Their results yielded the following details: The eruption lasted between two to four and a half days and erupted a total of up to 3 x 1011 tons of ash (or 111 km3 DRE at a density of 2.7). The eruption column may have reached an altitude of 37 to 40 km with a mass ejection rate of 1.7 million tons per second. This is the equivalent of a VEI 5 eruption every 9 minutes 48 seconds for 2 – 2.5 days continuously. If the estimate for the “proximal pyroclastic density current deposits” (eg. ignimbrite deposits) calculated by Pyle & al in 2006 are taken into account, the total bulk volume of the Campanian Ignimbrite eruption corresponds to some 180–280 km3 DRE, comfortably within the range of a VEI 7 eruption. The secondary effects of this eruption would have been a drop in average temperatures of between 1 – 2 degrees for a period of time of two to three years, shortening the growth season and leading to serious food shortages for animal life. Furthermore, the fluorine content in the widely dispersed ash would have led to fluorosis in herbivores, killing a large percentage of the staple diet of carni- and omnivores such as mankind. Acid rain, water contamination, destruction of food sources and ash inhalation would have had a great impact on Early Upper Paleolithic communities in the region. 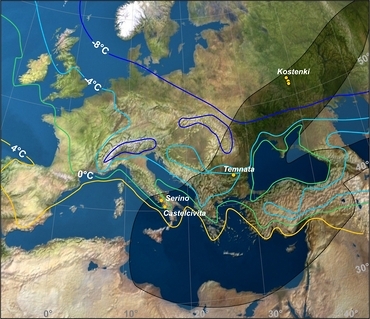 As most of the East Mediterranean area, the Balkans, and part of the Caucasus region were covered by more than 5 mm of ash, 5- 25 mm of ash constitutes “moderate burial”, the ecosystems would have been affected. The recovery of vegetation would have taken at the very least a year in the areas “moderately buried” up to several decades in areas covered by deep layers of ash. The tracts of land covered by ignimbrite deposits would have been sterile and barren for several centuries. The Neapolitan Yellow Tuff (NYT) is the ignimbrite product of the largest known trachytic phreatoplinian eruption. The eruption covered an area larger than 1,000 km2 with an estimated volume of about 40 km3 of erupted magma. If the proportion between ignimbrite and distal ash deposits is similar to that of the Campanian Ignimbrite eruption, this would yield a figure of close to 100 km3 DRE for the NYT eruption, which is borderline VEI 7. The NYT-eruption, as it is commonly referred to, resulted in an approximately 11 km wide caldera collapse within the older Campanian Ignimbrite caldera. 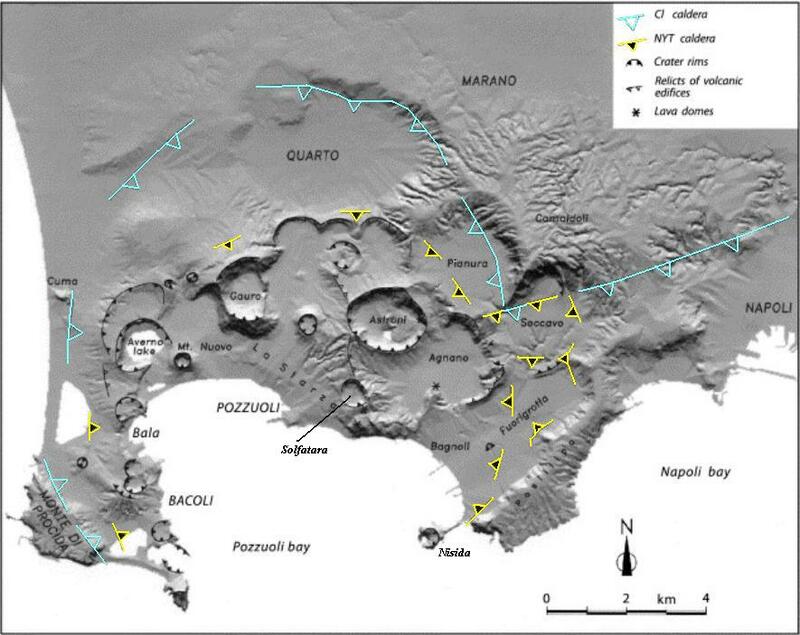 The resulting structure has influenced subsequent volcanic activity in the Campi Flegrei caldera strongly as it has been contained within the NYT caldera. Dating the of the NYT-eruption has not been straightforward as the dates obtained have not “converged towards a unique result”, which means that the dates obtained by various studies have been outside the margin of error of the others. Based on a recent set of obtained 40Ar/39Ar dates, Costa and his co-workers place the NYT eruption at 14.9 ±0.4 ka (Costa et al, 2012). After the NYT eruption at 14.9 kA, there have been several large eruptions within the confines of the NYT caldera. One of these is the eruption which formed what is now the “Riserva Naturali Cratere degli Astroni”, a WWF nature reserve. What is often referred to as the Astroni eruption is in reality a series of seven eruptions with a total output of about 0.45 km3 DRE dated to between 4.1 and 3.8 kA BP. The eruptions were Peléean in nature which means that the eruptions were not continuous but came in a series of pulses. This resulted in vast base surges, similar in nature to those that destroyed Herculaneum 79 AD or the town of “Old Taal” in 1754 AD. Even more frequent are the smaller eruptions such as the one that began on September 29th 1538 and resulted in the today 123 m high Monte Nuovo cone. The signs of unrest had begun long before. As early as 1502, residents of Pozzuoli noted the emergence of new land from areas formerly occupied by the sea. From the early 1530s, this uplift was accompanied by unusual seismicity that reached a first climax in the spring of 1534. 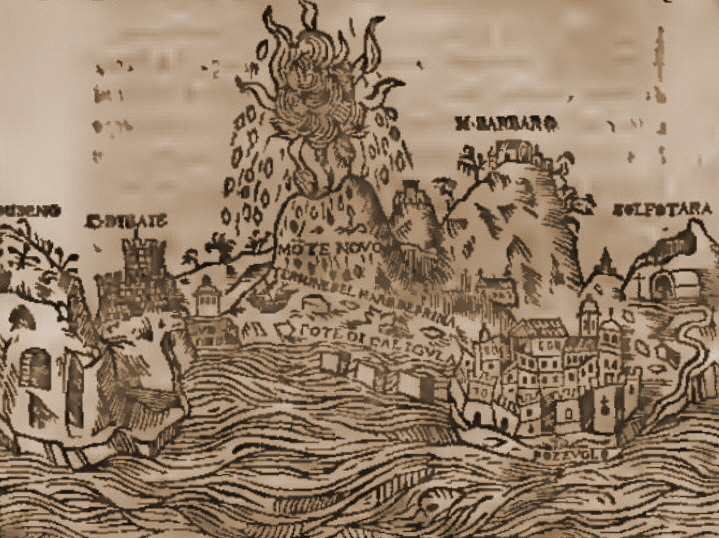 During the next four years, seismic activity continued at a lower level until there was a dramatic increase during September 1538 which culminated with the Monte Nuovo eruption beginning on the 29th. Seven days before the eruption began, the ground began to inflate rapidly, an astonishing six metres in only seven days and once the eruption had begun, it only took another seven days to build the 123 m high edifice of Monte Nuovo. From this description, it is likely that the eruption was a relatively speaking mild, Strombolian affair, far removed from the disastrous future eruption evoked by either Time or Smithsonian online edititions, but this type of eruption is by far the most common, even from a volcano as terrifying as Campi Flegrei. How Likely Is a Disaster? Like all very large volcanoes where there is no visible volcanic edifice, it took us a long time to realise what Campi Flegrei really was. The Romans had an inkling of its true nature when they named it Campi Flegrei, “The Burning Fields”, but it was not until the 1960s when uplift made the harbour at Pozzuoli unusable that the dotted lines finally began to be connected. There were known volcanic areas such as Solfatara where the high temperature of gas emissions, twice as high as at Vesuvius, indicate that magma is much closer to the surface. 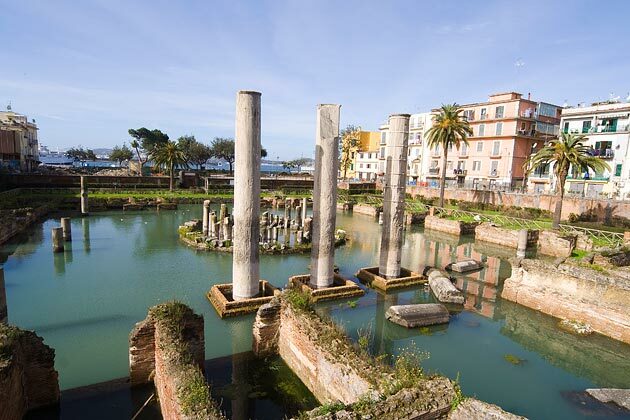 As early as the beginning of the 19th Century, excavations of a Roman site in Pozzuoli had revealed marine encrustations several metres up on marble columns. These had been described by amongst others Darwin and Lyell and of them, at least Darwin made the connection between volcanism and fact that salt-water molluscs (Lithophaga) were found several metres above the current sea level. But it wasn’t until a period of uplift in the late 1970s made us realise that the entire area was one large and not many small volcanoes. Campi Flegrei is what is known as a restless caldera. Bradyseism, the alternating uplift and depression of the ground on a scale of several metres or even tens of metres over a period of time measured in years or even tens of years, is nothing to be alarmed at. It is absolutely and perfectly normal. Since the period of uplift during the late 1970s and 1980s, there have been periods of more rapid uplift followed by slow subsidence. In 2012, slow deflation reversed into inflation and over the period of one year the ground rose by 6 cm. Each inflation event is associated with earthquake swarms, which indicate magma movement at 5 km depth. The general trend is an uplift which since the early 1970s totals about 2 metres. Temperatures of the gas at Solfatara have been rising in recent years. An eruption is not considered imminent, much may be due to heated water rather than rising magma. But the current behaviour shows similarities to the period of activity that began in 1502 and culminated with the 1538 Monte Nuovo eruption. 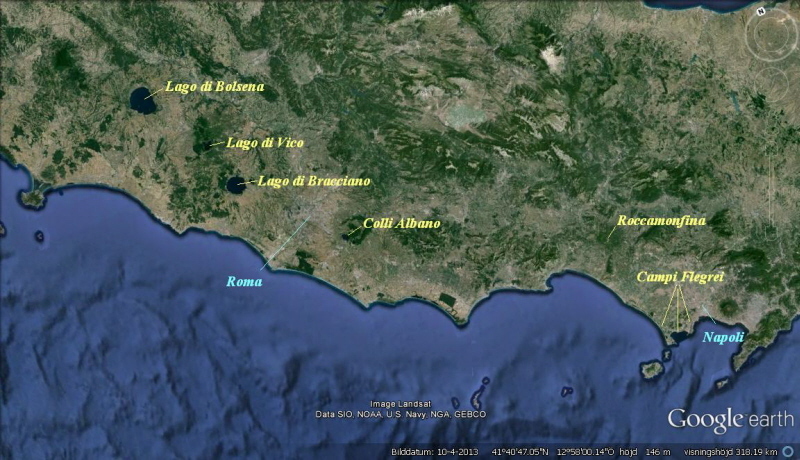 Over the past two millennia, the bottom beneath Pozzuoli Bay has slowly subsided and the old Roman Portus Julius is now 12 meter below sea level while at the same time, land areas have risen. The fracture in between may be a probable place for a future eruption. Based on previous eruptions, a new eruption is likely to be preceded by uplift of meters to tens of meters, due to magma refill at depths of 3 km or even less. The eruption period 4,000 years ago that culminated with the Astroni series of eruptions was preceded by as much as 30 meters of inflation. Eruptions could follow within decades to centuries from the onset of such inflation, thus the fact that the inflation periods of the 1970’s and 1980’s were 30 years ago is not a reason for complacency. There is a significant danger of a small eruption, but perhaps not quite as fast as that following on the heels of our Mount Aso article! A problem with very large, ignimbrite depositing, caldera forming eruptions is that they tend to obliterate almost all evidence of previous and lesser volcanic activity. Millenniae of human rural and urban “development” tend to further obfuscate the picture as can be inferred from the open-ended solution given by Costa et al on where the caldera intersects the modern city of Naples. What is certain though are the volcanic scars left by the eruptions subsequent to the latest very large eruption, the NYT eruption at 14.9 kA. Lago Averno, Gauro, Pianura, Soccavo, Agnano, Fuorigrotta, Astroni tell us that such eruptions have have occurred at least seven times in the last 15,000 years or once every two thousand years. If we include the further five that can be inferred from their incomplete outlines, this figure rises to almost one every thousand years. In fact there are indications for a total of 65 separate eruptions over the past 15,000 years. These occurred in bursts or clusters of activity, separated by long periods of quiescence. Once the activity resumes, we can expect a series of eruptions over a few centuries. One attempt at description categorises three periods – the First Phlegrean Period began with the Campanian Ignimbrite eruption at 39 kA and ended with it’s aftermath at 35 kA. The Second Phlegrean Period began at 35 kA and ended with the NYT eruption at 14.9 kA. We are thus now in the Third Phlegrean Period which is characterised by the eruption of white pozzolana, the material that forms the majority of volcanos in Flegrei Fields. 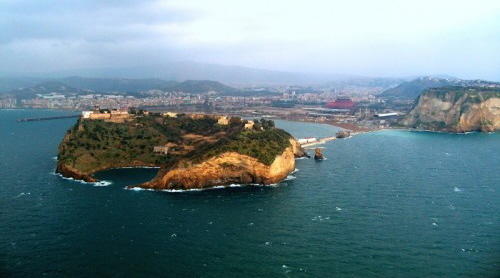 Initially between 10 and 8 kA, activity was in the western part at Bacoli and Baiae, on the western shore of Pozzuoli Bay. Activity then moved to an area centred between Pozzuoli, Monte Spaccata and Agnano (8 – 3.9 kA). Recently – 3.8 to 0.5 kA – activity is supposed to have moved towards the west and resulted in the formation of Lake Avernus and Monte Nuovo. Again, note the human proclivity to regard it as a thing of the past, a closed chapter that ended five hundred years ago, having moved away, and thus implicitly poses little danger today. It is however not unique to Naples but a phenomenon observable everywhere. Recently, the INGV proposed an explanation model whereby the uplift prior to 2012 could be explained by hydrothermal activity and from 2012 by the periodical emplacement of magma within a magmatic sill (reservoir) centred 0.5 km south of the port of Pozzuoli at a depth of 3 km. (D’Auria et al 2015). In 2013 came another piece of the Campi Flegrei jigsaw when researchers discovered that the mineral composition of clays extracted from the harbour floor of Pozzuoli was identical to that of the most durable concrete ever mad by man, the Roman variety. It has further been proposed that this mix constitutes the roof of the Campi Flegrei magma reservoir (Vanorio & Kanitpanyacharoen 2015), and if so, it is both a blessing and a curse. It is a blessing because “the concrete” is strong, resilient and flexible, thus it requires great force before it is breached and it can contain the minor fluctuations of the Campi Flegrei Caldera. But it is a curse from the mineralogical point of view as it provides a ready-made mix for water-rich, evolved magmas (dacite to rhyolite), in other words, highly explosive and the very worst possible type of magma that could be erupted in this densely populated area. Due to the nature of the crust, once magma cracks the cement, events may develop very quickly. There is a 60% chance that an eruption will be in the form of small explosions, 11% of an effusive eruption, 25% of a medium explosion and 4% that there will be a major explosive event. The most likely location of a vent is northeast of Puzzuoli, in or just east of Astroni. This is the final ingredient necessary in a recipe for disaster; the attitude of the population in general and of the local authorities. Naples is not only at risk from Campi Flegrei but also from Vesuvius even if the former, and far greater risk, is mostly ignored. From his travels Carl reports that whenever Vesuvius was mentioned, people turned around to give the mountain the one-fingered salute, cursing it and the authorities that have forbidden profitable exploitation of its slopes; housing and industrial development. Not long ago, an attempt at drilling the Campi Flegrei in order to find out the exact stratigraphy was stopped and forbidden from ever being undertaken again with the spurious motivation that this could cause an unwanted caldera eruption. With this mindset, let me introduce you, good citizens of Naples, to the events of Rabaul town and caldera in 1994. Rabaul is located inside the 8 x 14 km Rabaul caldera, a caldera that resembles Campi Flegrei and one which too is mostly filled by an arm of the ocean, here known as Blanche Bay. Rabaul had been thoroughly destroyed by an eruption as recently as 1937, but as it was the Provincial capital and because the bay provides a magnificent natural harbour; “Simpson Harbour” of great strategic importance in those days, it was rebuilt. It is a fine spring evening and tonight, Napoli are hosting AS Milan, a contest that will have a great bearing on the eventual destination of the Scudetto. It is also the run-up to the local elections and tonight, the Mayor entertains a very important gathering of political backers. Over at the Osservatorio Vesuviano INGV, the seismologist on duty is much alarmed by the series of earthquakes , apparently centred near Pianura, 10 km from the city centre and close to the margin of both the CI and NYT calderas. He calls the Direttore and by the time she arrives, the instruments indicate that the ground has begun to inflate, possibly as much as 50 cm as the instruments located at Solfatara, more than 4 km away, indicate 12 cm. The direttore immediately calls the Mayor but is told that he is unavailable. It is not until nearly midnight before she gets through to him. Over at Stadio San Paolo, no-one has noticed anything as the greatest quakes were no more than M3.3 in strength and in any case, the Nepolitans are too exited. By the time the game ends, Napoli have won three goals to one and the streets are filled with a jubilant throng. Barring an improbable upset away at Siena, the Scudetto will return to Napoli! Signor Sindaco is not best pleased by the call from Signora Direttori. He too, as well as his backers, is caught up in the jubilant mood and he has no time for unwanted news – it’s time to turn sporting success into political coin – and in any case, if we are to be honest, he is not fit to deal with serious matters effectively at present. He hangs up on the Direttore with the promise of a meeting at 10 a.m. next morning. During the night, INGV staff have established that the ground is indeed inflating rapidly over a large area centred on the suburb of Pianura, that it inflates at a rate of almost 50 cm per hour which seems to be accelerating and that by four a.m., the ground has already risen more than four metres and it looks as if an eruption may be imminent. Armed with irrefutable data, the Direttore finally manages to get some response and together with the Chief Commissioner decides to begin an evacuation on their own initiative. At 7 a.m., inflation stands at almost seven metres. Evacuation of the Pianura and Astroni suburbs has begun but it collides with the morning rush. In spite of the efforts of the Carabinieri, by 8 a.m. the roads in and out of Naples are completely congested. The Mayor, woken at five, has made a public appearance and urged calm as well as full compliance with the directions given by the Carabinieri, but few Nepolitans hear this. Most are on a high from last night’s victorious game against AS Milan and furious at the congestion of the traffic. At this concluding point, I can no longer refrain from roundly cursing the modern practice of certain publishers to place the fruits of scientific research out of reach behind paywalls. Information that was easily accessible only a few years ago is now unobtainable unless you belong to a faculty or are prepared to pay exorbitant prices, sometimes as much as $39.95 for a single article. Science used to be, and should be, free and open to all. Since it is paid for by the public, it belongs to the public! 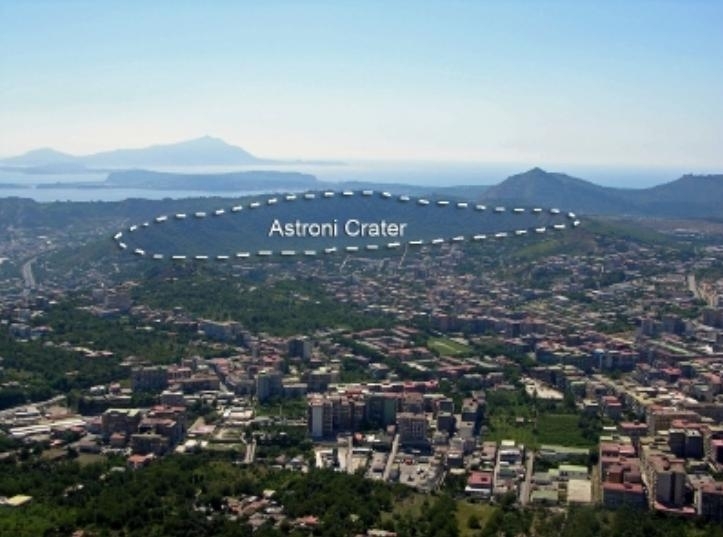 D’Auria, Pepe, Castaldo, Macedonio, Ricciolino, Tizzani, Casu, Lanari, Manzo, Martini, Sansosti, Zinno: “Magma injection beneath the urban area of Naples: a new mechanism for the 2012–2013 volcanic unrest at Campi Flegrei caldera”. Scientific Reports; Nature Publishing Group 2015. ← What’s Up in Iceland? In my opinion, Napoli is a death trap waiting to happen. Campi Felgrei’s magma chamber contains evolved magmas like dacite and rhyolite. But how did Monte Nuovo manage to erupt basalt in a rhyolitic caldera? Rhyolite evolves from basalt typically. Either that, or it comes from continental crust that has been melted by hot implacements of basalt coming from the subduing plate. the biggest takeaway is that Rhyolite volcanoes will almost always have a basalt component to them. Not a unique problem to this caldera- check out the great Tarawera eruption, for example. My thought (usual disclaimer, I’m not a professional) would be that fresh, mafic magma rose rapidly from depth to reach the surface without triggering the cooling ‘crystal mush’ of evolved magma through which it passed at speed. Also, it seems possible that the magma underlying the Campagna is not in a single infernal chamber but is a group of linked but partially separate ‘pods’ of melt. 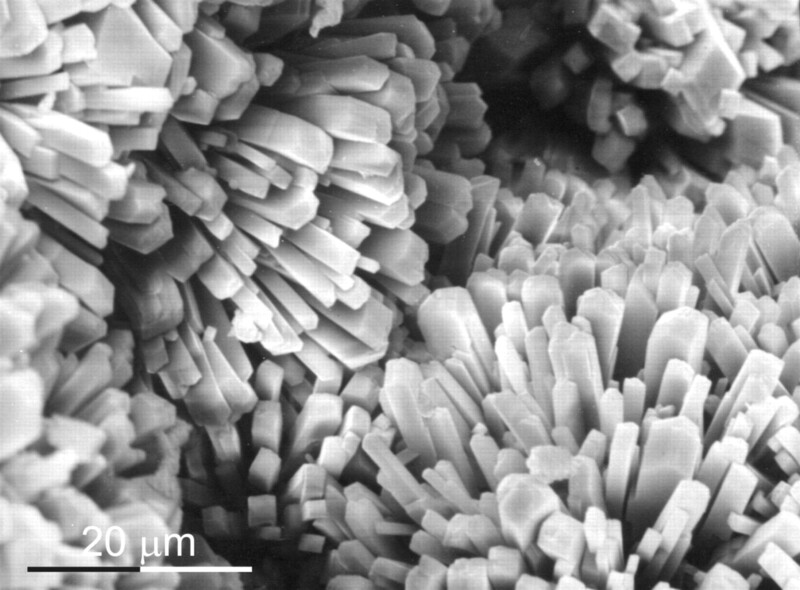 Magma reservoirs are made up of smaller pockets. Rising basalt missed existing pockets? My question is why basalt? Is the crust thinner there? Now, since you have said that Campi Flegrei is the most dangerous of the volcanoes in that area, and Vesuvius comes in at no.3, what about some time doing a piece on Ischia? I’ve never been able to understand it, it’s a weird booger! As dawmast has asked above, the area can produce basalt eruptions. My questions: can it also produce fissure eruptions from rifting? &, Can it also provide phreatic eruptions? With the water table, I’m pretty sure pheatic activity is possible. That then gives you the ‘water volcano” problem with the base surge being amplified by steam. In your disaster scenario, not to say that it is not feasible (it is feasible), but with the advent of mobile phones, esp smart phones, etc, communication could be faster and could be to more decision- makers. “decisionmakers” … you those that are not busy tweeting out images of their genitalia? If you had rapid inflation of 7metres, you would have the added problem of damage to buildings, road surfaces cracking, and fracturing of water and gas pipes. But if there is loss of electrical supplies, I take back what I said earlier about better communication – you could lose it altogether in places. Might be Aso, not Hakone, on the link above. NHK may have changed the link. Definitely Aso. Been there, recognize the car park! Camera is on the roof of the volcano museum. Yeah, that’s not Hakone’s parking lot. Following on from the previous article, I have just come across an interesting and scientifically informative French documentary with English commentary about some of Iceland’s most active volcanoes. Its principal (human) star is Páll Einarsson. Unfortunately, the video quality is rather poor, but Jeremy Irons sounds nice! PS It was made in 2011, and presumably before that year’s Grimsvotn eruption. Thank you! This is a nice and entertaining documentary. I love them, but it’s really hard to find the good ones among the mass of horrible ones (bad action movie music, ridiculous war-movie comments, each information repeated 10 times due to the advert cuts…). I really miss the ones from the French and German TV. Great post, easy to read and digest. I could be wrong and i think i read it somewhere that this area is volcanic because it is underneath a mantle plume or a branch of a plume. It always amazes me why people live so close to volcanoes ?. Is it because of the fertile land around it. Nice one! Very easy to understand with a ton of information. 4 very deep quakes ~25km down, emerged in the Askja magmatic system. Askjas increasing deep unrest should not be taken lightly in the long run. Make that 5. One was added while I was writing lol. Also some interesting local signals at ASK. Grimly fascinating article. Thank you, Henrik. Though we may all be extant examples of Homo Stultus… we still have one innate ability. BTW current and final wife and I are now at 27 years. another wonderful article in the series!! 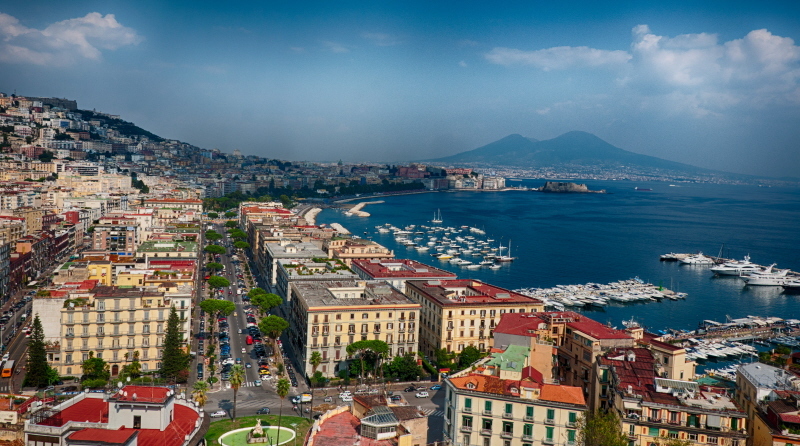 Naples would not be the first town to succumb to optimism! Brilliant verse, Albert. Thank you! On of the dispatchers put me up to placing a stuffed Eeyore on the cockpit antiglare shield (dashboard,ok) he’s still there as far as I know..
Tungnafellsjokull is packing some larger ones today, with some small amplitude HT signals appearing on the VON station. Some of these quakes have been re-evaluated. Since these are all rather large, and rather close to the surface, my uneducated guess is that something might be blooming there. Is anyone else having problems accessing Cotopaxi cameras? Green star in Bardarbunga. Magma intrusion from BB to Tugnafellsjökull? Quite shallow quakes. I wonder if these will be revised once again? I wonder if there is any inflation in the 2 volcanoes ? . Is there any way of finding out ? VONC, HAFS, GJAC look to be moving very little. DYNC seems to be inflating slightly. I use twitter to defeat paywalls—academics don’t like them either—the increasing number of researchers using researchgate for example tells me they don’t like it one bit especially in the geosciences. researchgate links to google scholar, I can usually find stuff that way. The hashtag is #ICanHazPDF. There’s an etiquette about it but basically you tweet a link to the abstract with the hashtag and an email address (I use an email address I set up for spam, not my regular one.) When you get the paper you want, you delete the tweet and you don’t publically thank the person who sent it to you. Sometimes it takes a couple days. I know the better solution is to eliminate paywalls. $40USD for a single paper is ridiculous. Spots on Ceres. It looks like a rock fall from the central crater peak to me, with the debris revealing ice underneath the crater rubble. A phreatic explosion looks tempting but seems unlikely! Cousin and i were amusing ourselves rolling limestone rocks off the top of a cut at a lime pit in Mississippi. I look down and see a banded red black and yellow snake. No time to work out the color sequence and went into a hover… landing about 5 feet away. I yelled back “SNAKE” to my cousin who was able to vacate without falling off the man-made cliff. I was rock climbing with a friend of mine over on the east side of the Grande Ronde valley-an area called Mt. Harris. This place is known Diamondback habitat. It was early spring, not particularly warm, doing an easy traverse across a basalt face. I was in the lead doing into this narrow gap with a bit of a ledge to climb. heard the prrrtttickticktick… of a P.O.ed rattler. my hand was on the ledge . I slowly moved it back. “Although Cottonmouths can climb trees, they seldom do. On the other hand, Brown Watersnakes, Nerodia taxispilota, frequently crawl out onto sunny tree branches to bask and raise their body temperature. On the East Coast of the United States, both snakes have very similar and overlapping distributions (the Cottonmouth can be found farther west than the Brown Watersnake). At first glance, these harmless water snakes might look a lot like a venomous Cottonmouth, but there are some considerable differences. The Cottonmouth has pupils like a cat, a much chunkier body and a boxy head, but you may not remember these differences when your day of river relaxation is interrupted by a snake falling in your lap. Why would a snake do that? Few things make me laugh like Bill Dance blooper reels. Not sure how so many insane, absurd things can happen to one guy. Pertinent clip is first. He’s a fisherman. Catastrophe is always just a step away. The only fresh water fishing that I have done was as a teenager with my cousins for catfish. You get quite perplexed when you pull up one of these. Yeah, those jaws are just as dangerous as they look. The feeling that you get when you drag this out of the water is that somehow… you have caught a small dinosaur. Don’t EVER let your hand get near it’s mouth, it can take a finger right off, no questions asked. Seems to have stopped now (as far as you can tell, visibility is not so good now). She is degassing from the top of the crater now. A cpuple of biggies, M2.5+ at Katla overnight. They are not revised manually yet. Time for Katla to get her star? Yep, Katla got her star. Mag 3.3 together with one 2.5, both at very shallow depth, 0.1km. Can glacier movements cause big enough quakes to render stars, or is there something more exiting going on? I had the some thoughts/questions … Also on the Tugnafellsjökull last Monday. Melting water causing phreatic events? One factor to keep in mind when considering what’s going on is that there have been several deep earthquakes (and swarms) around Hábunga in the last few months. So I’d surmise that something is going on and that phreatic activity is a possibility. Re Iceland travel, make sure you spend several days in the Myvatn area: there’s a lot to see and do up there. I tell people who are off on honeymoon not to come back with a suntan, but that won’t apply in Iceland! Be certain to check wind conditions, of course, If you go off the ring road into the NW, be aware some of those roads can be harrowing if you aren’t a local. I would have said that what TO miss is the tourists, by, for example, heading out on the south shore drive later in the morning. Since you are there in the “off” season, that hopefully won’t be so much of an issue for you. … Of all the things that were on the “don’t miss” list that I would change, we didn’t do the Blue Lagoon, and I don’t regret it. We did do the Myvatn baths, and they were OK (cooler temp than I would have liked). I loved the “secret lagoon” in Fludir. DO try to visit as many waterfalls as your path takes you near. Words, pictures and videos simply cannot do them justice. Tomas – We visited Iceland in summer 2014. It is worth visiting Jokulsarlon to see the icebergs. We were in such a rich to get to our next hotel, we forgot to cross the road and look at the beached icebergs on the black sand beach, which I’m still kicking myself about. We also over-planned our itinerary, so didn’t have much time in the Myvatn area – we want to go back. There are hot baths there much like the Blue Lagoon, but about a third of the price. We didn’t make it, but it seems well reviewed on TripAdvisor. We liked Seydisfjordur very much, especially the views as you go over the mountain pass down to the fjord, but it might be a bit out of your way. The old turf farmstead heritage museum at Glaumbær was interesting too. Although it sounds a bit of an odd place to visit, the geothermal power station at Hellisheidi near Hveragerdi/about 30 mins drive out of Reykjavik was a good place to visit – a really impressive use of technology to harness the country’s geothermal resources. The guide in the visitor centre on the day we visited was very well informed and able to talk us (and our young sons) through how the power plant works. It has an impressive visitor centre and, if you stop for a coffee in the atrium, you might notice your coffee cup vibrating in its saucer because of the adjacent turbine hall. There was a contemporary art museum in Reykjavik which had some excellent (if wacky) art installations. It’s an interesting building conversion too. I wish I could remember the name – it is nearish to the Harpa (opera hall). Thanks, this is just the kind of advice I was looking for. We will definitely visit Jökulsárlón and Mývatn. Visiting a geothermal power plant never crossed my mind, but actually sounds very interesting. There is a geothermal station at Krafla, very close to Myvatn, but I think it’s closed to visitors at this time of year. I second the recommendation for the Vogafjos Cowshed at Myvatn. Great food! That is where I filmed this — a thing so unusual every Icelander I showed it to laughed! There’s been an interesting occurrence of shallow earthquakes this morning at Tungnafellsjokull! Indeed shallow as last Monday. “This morning at about 7 am, an earthquake swarm started just north of Tungnafellsjökull. When this is written 11 earthquakes have been registered in the area. The biggest one was measured 2,9 at 10:57. Earthquakes in this region possibly reflect readjustments of the crust after the neighbouring Bárðarbunga volcanic crises which lasted for six months and started in the middle of August last year. Be good to see the drumplots &gps. Are they taking gas measurements? Whack an egg with a hammer and usually you get a mess. The chicken will just squawk and run away. My “vote” is that it is magma emplacement. Jon kinda forgets one thing. His helicorders are not so close. And when you go further out, the signal amplitude generally weakens and gets that prolonged teleseismic look. Jon should have known that. Some of the tremor plots for yesterday (and today) nearby were a tad lively. I’ve been looking more closely at the ‘cams this afternoon, looking across Holohraun, and there appeared to be ‘steam’ in the usual places; also in the proximity of Baugur but this had a blue tinge to it I’d say. It seemed to appear for quite a long time, then dissipate and cease for quite a long time. Not white like the usual steam, nor brownish like dust clouds. Interesting, a few dead zone quakes today as well, someone with over 1. magnitude. Not sure how much is activity, how much is atmospheric conditions, and how much is weather! Think that whatever she is doing, it has created her own weather system. The camera doesn’t panout far enough to see the clouds fully. Think its mostly cloud from cooler air meeting a warmer volcano. But there is some degassing too. Looking at other webcams, e.g., 373, link above, these are “just” clouds. Nice cumulus. Looks like rising air above the volcano – it is not a lenticular cloud that you get from a flow over a mountain. It could just from the dark(?) rocks getting very hot in the sun, in combination with quite high humidity, or the surface could be hot because of the activity below! No need to invoke an eruption. Hmm.. scheduler didn’t go off. New Post is up! Courtesy of Albert!